On the French Mediterranean coast. At the foot of the Pyrenees, less than an hour from the Spanish border. 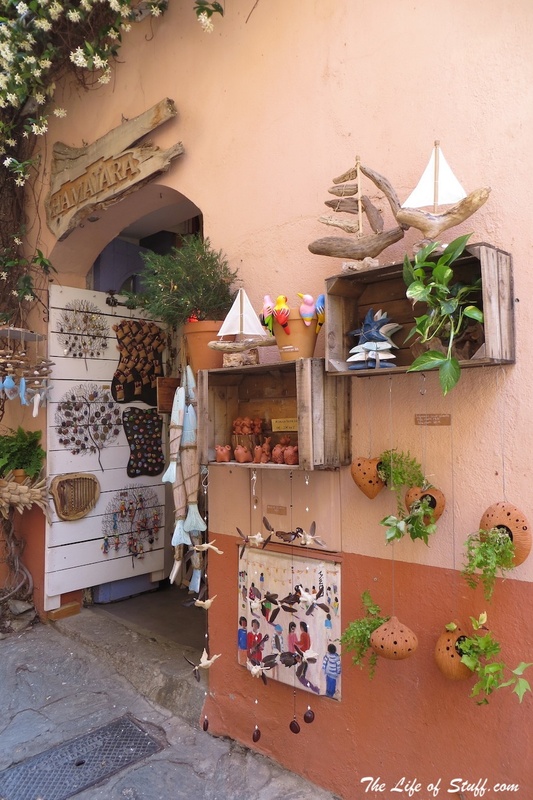 You will find the colourfully picturesque and culturally rich French Catalan town of Collioure. With a history that stretches far beyond both French and Spanish occupancy. Back to the times when the Visigoths laid siege. 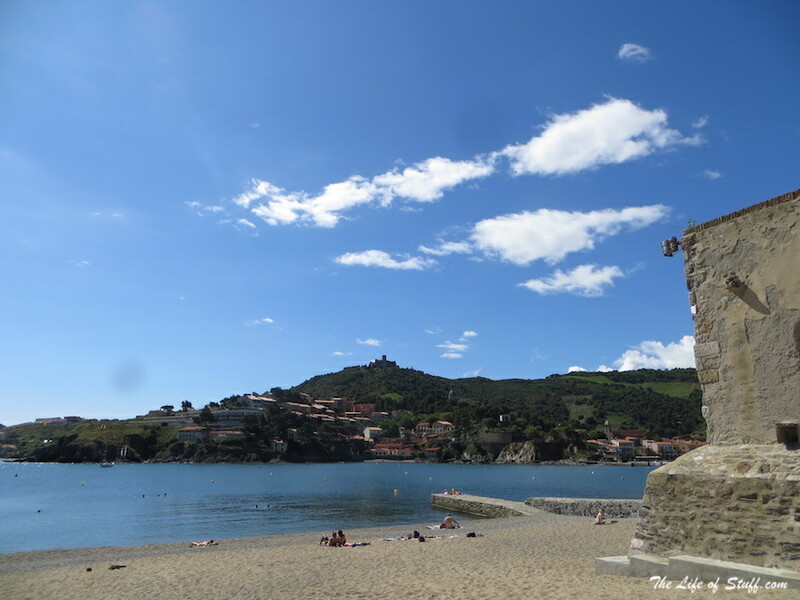 Collioure is a far cry from battles of ownership. 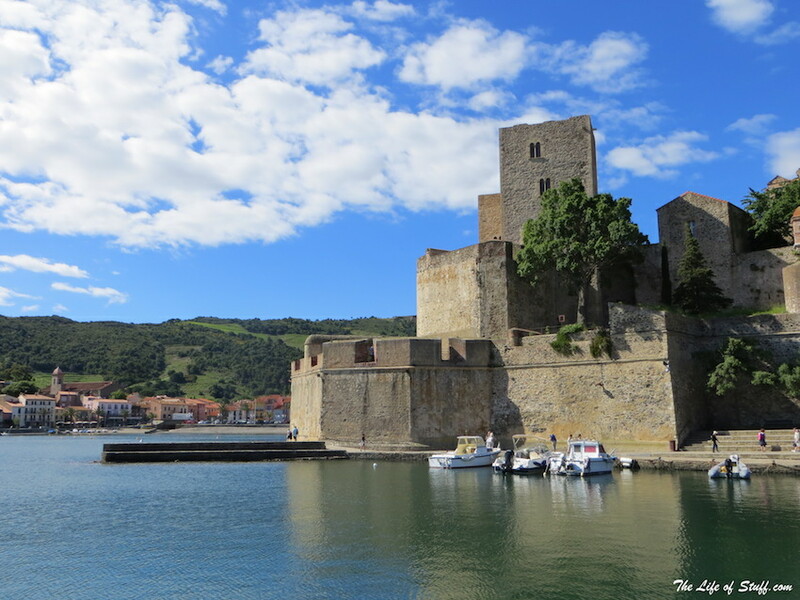 And its historical forts and castles that once protected it from intruders now welcomes all to enjoy and be inspired by its blue skies and waters. And their colourfully painted streets. 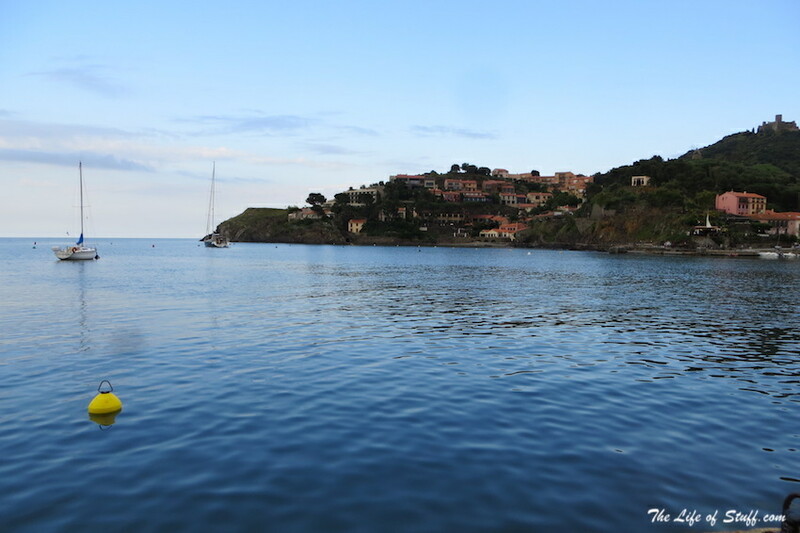 Matisse once stated that “No sky in all France is more blue than that of Collioure”. I stand behind those very words, having visited and fallen for that same sky . And you’ll see from my photographs why. A favourite place for some of the greatest artists of the past; the likes of Matisse, Derain and Picasso, and now home to the future greats. 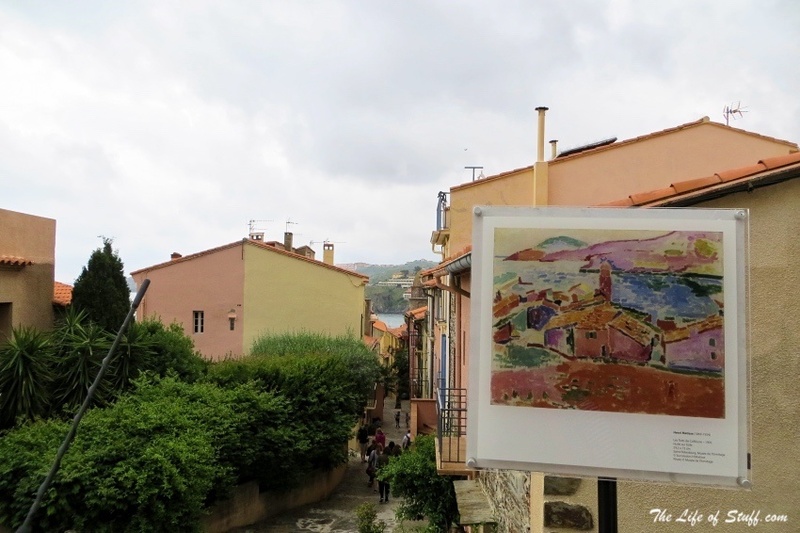 Collioure is an artistic dream. And along with its food and wine offerings, the town offers culture vultures a place to visit and feel at home with. I know I did. 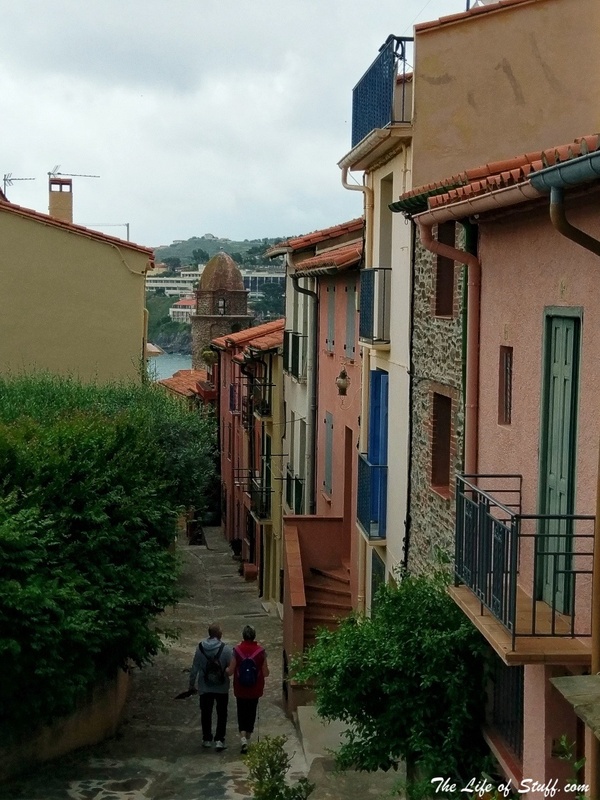 As soon as I stepped onto the pavement in Collioure and looked around me, I knew there was something special waiting for me to discover. 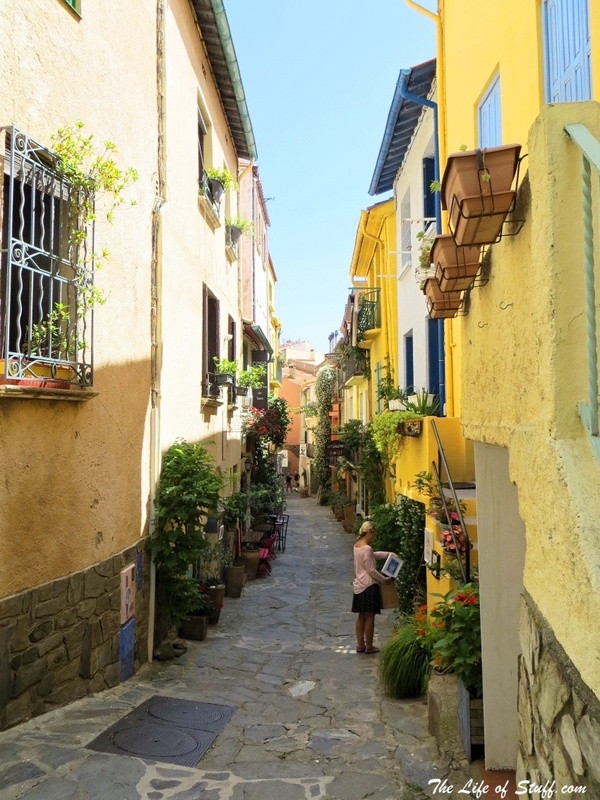 The narrow winding streets of Collioure with their slender three or four-story high houses of colourfully painted shuttered windows and railed balconies are far from intimidating, they’re welcoming. 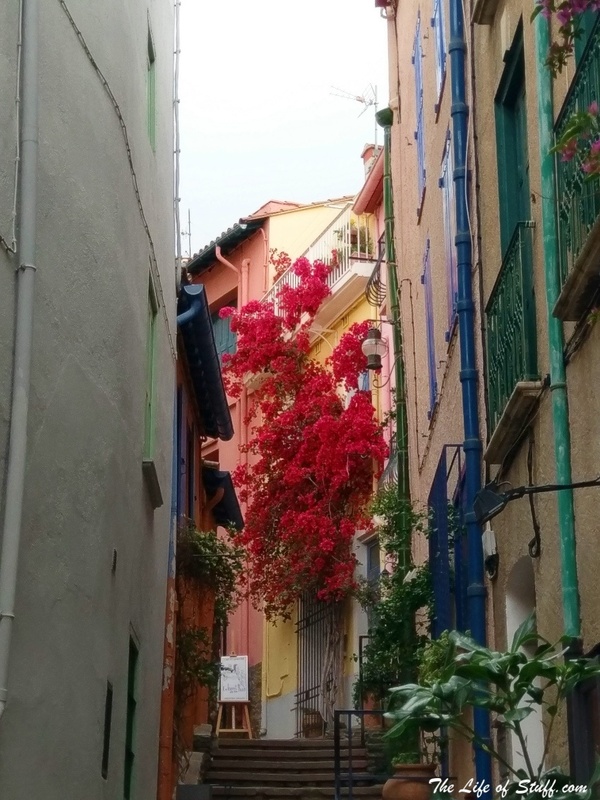 Dashes of brighter colours fill the streets with freshly scented flowers and jasmine. Shop fronts are quaint. With many owners seeming to be on just as much as a holiday as you are. As they sit drinking coffee or reading the newspaper. The restaurants that open up to the boardwalk that leads to the water’s edge have a bit more bustle to them. But again are a laid back affair with no haggling for customers to be seen. Artists sell their wares next to the parasoled coffee tables that look out to sea. It’s peaceful, not too quiet, and it’s easy-going. The perfect place for a young family, or a romantic getaway. Or indeed a solo trip to dust off the cobwebs of city life. 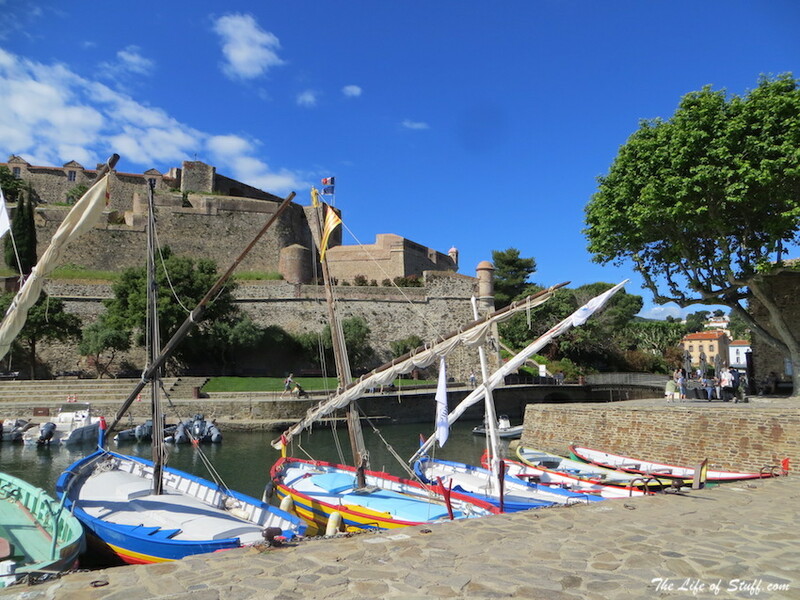 And no sooner do you fall in love with the townscape of Collioure. But you fall for the landscape that wraps its arms around the town. Layer upon layer of depth and discovery, green after green. Majestic mountains in the distance, rolling hills to the foreground. 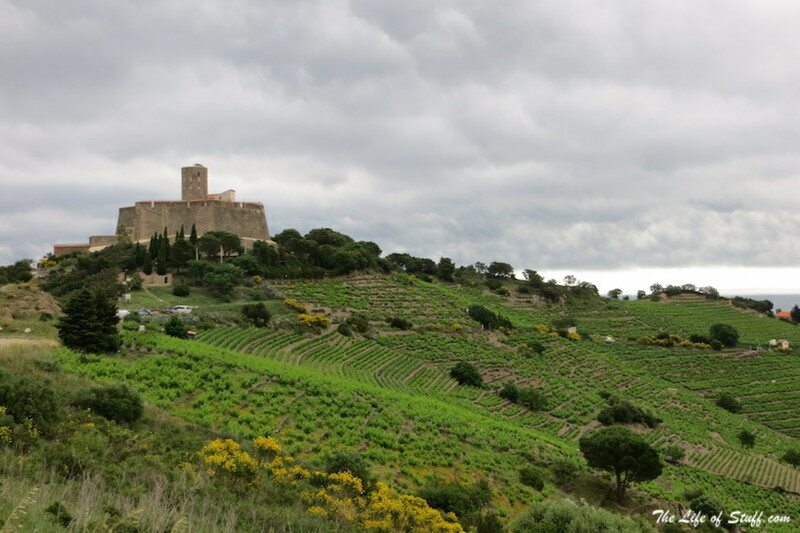 Vineyards, and roads, country houses, and Fort St. Elme. And as the light grows dim, the twinkling of the landscape matches the twinkling of the darkened harbour waters. As boats bob up and down, some with lights on, while others catch the reflection of the street lamps on land. In the early 20th century a new style of modern art was developed. It became known as the Fauvism movement. Fauvism was essentially a style of painting that used bright, bold and intense colours. And brush strokes known as ‘la cage aux Fauves’ or wild beasts in english. The Fauves were led by Henri Matisse, and included artists such as Albert Marquet and Georges Rouault. In 1905 and after spending a number of summers in Collioure with his family Matisse was joined by Fauvism co-founder Artist and Sculptor André Derain. The two artists created hundreds of paintings and sculptures. 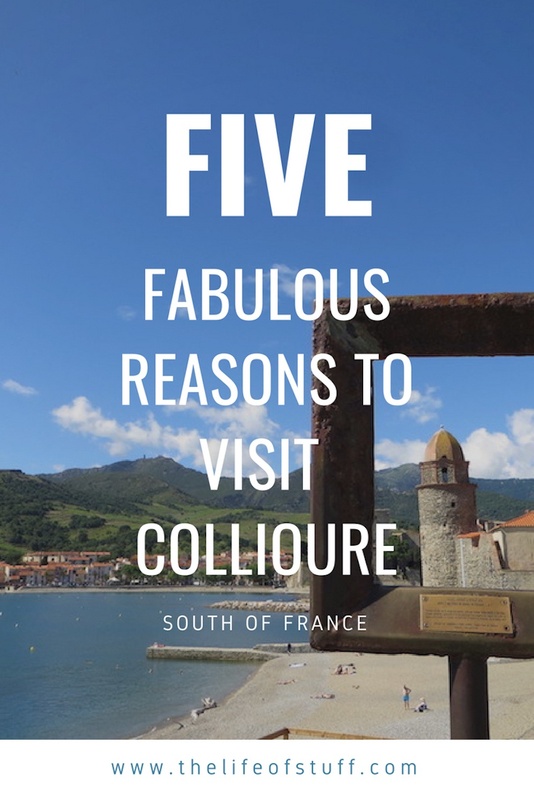 All inspired by the town of Collioure and its surroundings. Today art lovers and enthusiasts can follow a trail through the town. Witnessing the exact spots the paintings were based upon. With replica’s of each painting to guide you. Currently there are 20 but this number has been planned to grow over the coming years. 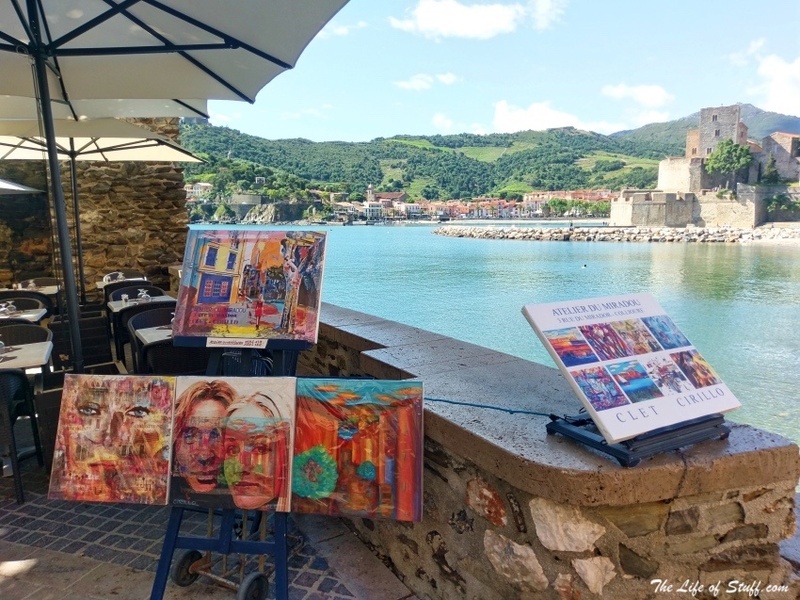 Nowadays Collioure is a hive of activity in the art world. 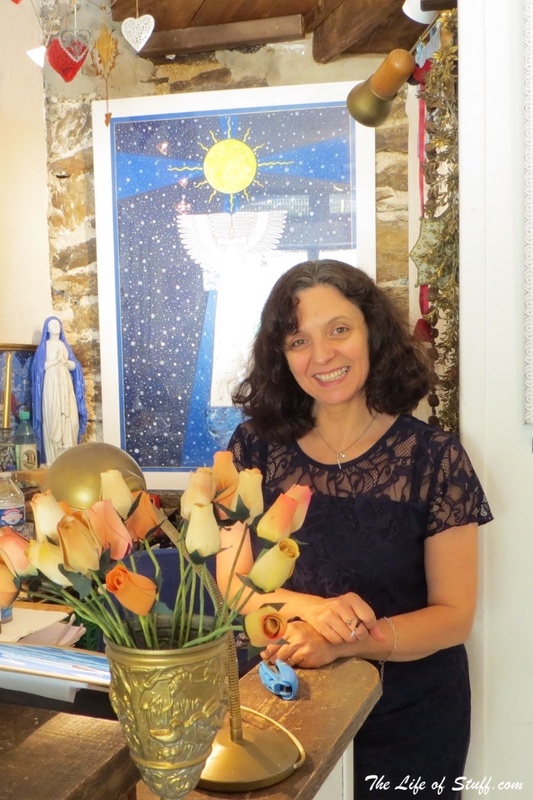 Many Artists live, exhibit and sell their work in the town. Art appreciation is everywhere and in the most unlikely of places. 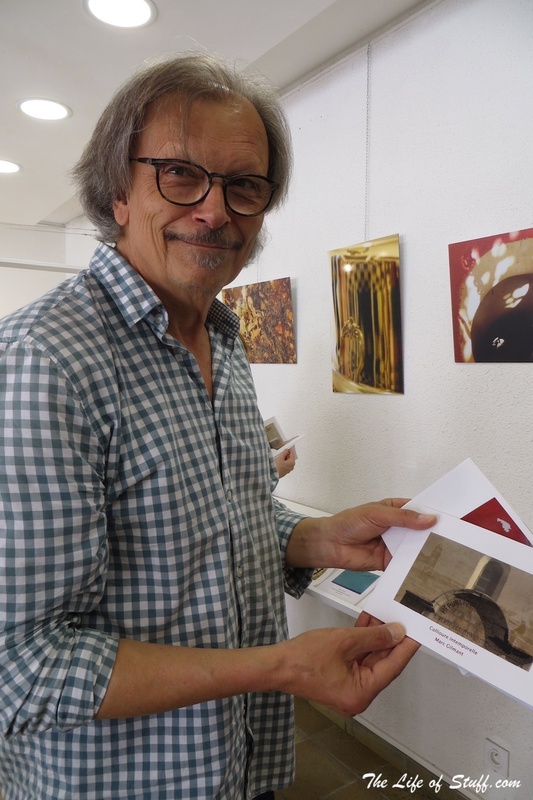 And on many occasions it will be possible to meet the Artist whose work you have purchased. Be that from a local gallery or directly from their art studio. 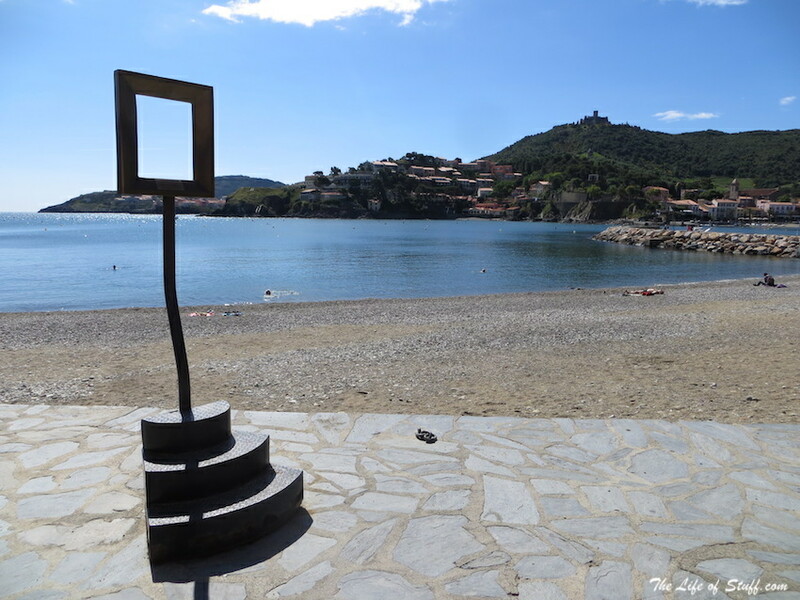 For those who appreciate modern art then a trip to the Collioure Modern Art Museum should be on your agenda. 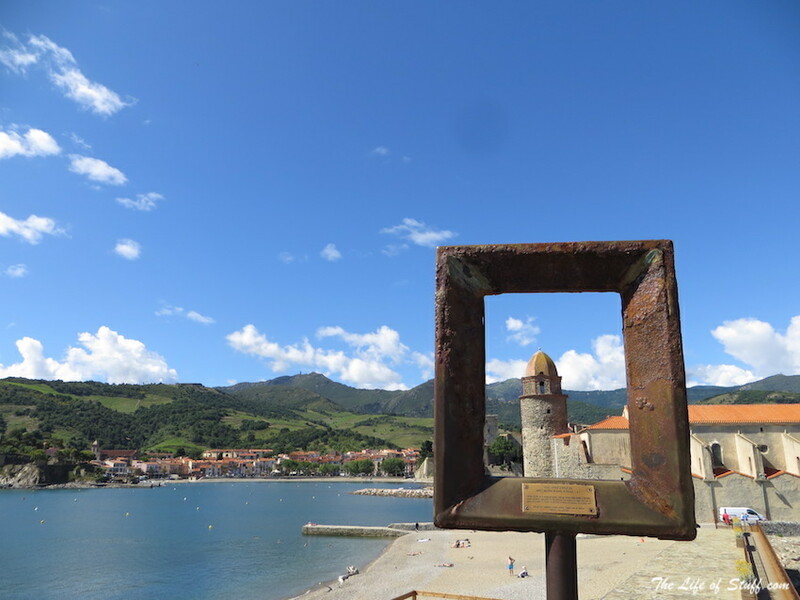 And if you really want get to know Collioure’s rich artistic history then take a Guided Art Tour through the town. We did and I thoroughly enjoyed it. 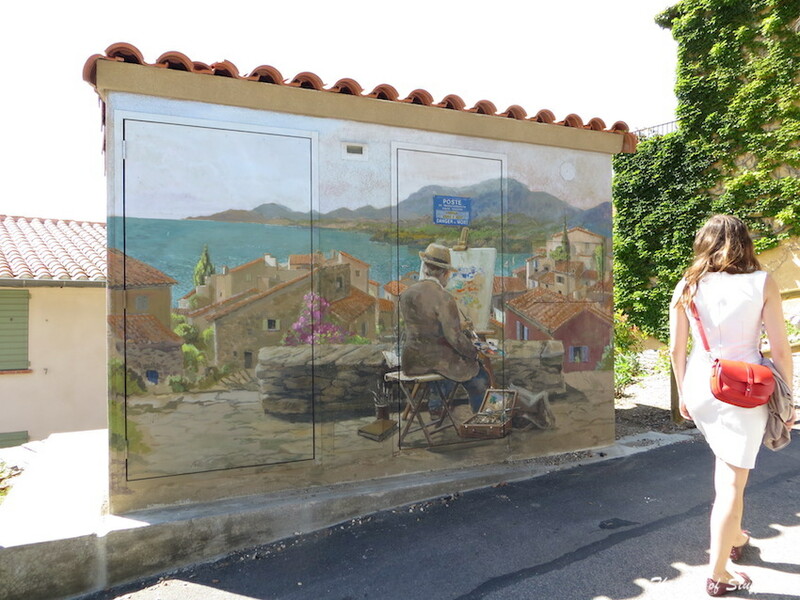 However Collioure hasn’t just been a love affair for artists. 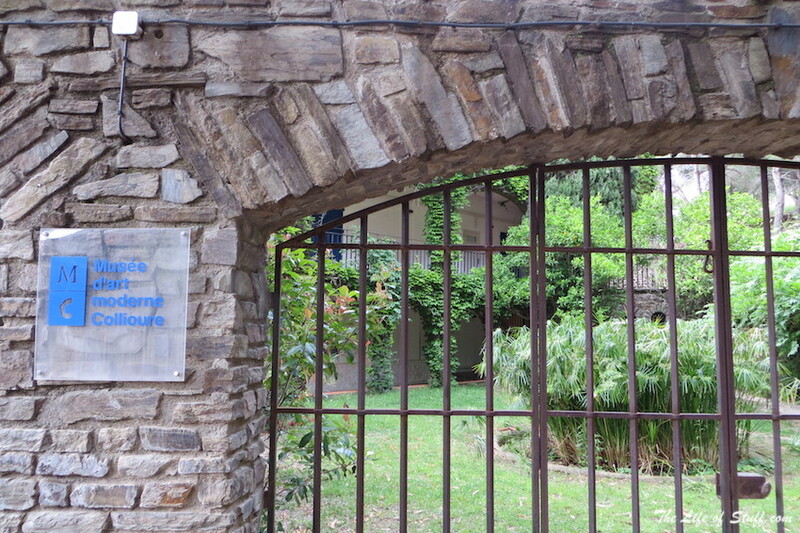 It has also been a haven for poets and writers. Spanish poet Antonio Machado who fled from Francoist troops in Barcelona at the end of the Spanish Civil War in 1939, died in Collioure in the same year. English novelist Patrick O’Brian lived in Collioure for nearly fifty years until his wife Mary died. Heartbroken he left Collioure to live in Dublin where he passed away in 2000. Today you can visit the house that Patrick and his wife Mary lived in on Rue St Elme. 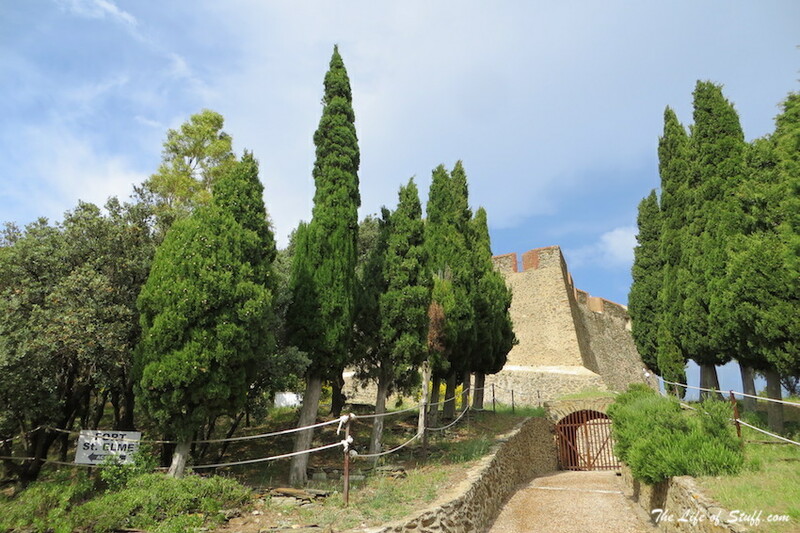 And also visit his grave that lies in the cemetery that overlooks Collioure. French and Catalan influences when it comes to food and drink! How could one go wrong? Impossible really. From the light bites of tapas to fine dining dishes by candlelight. 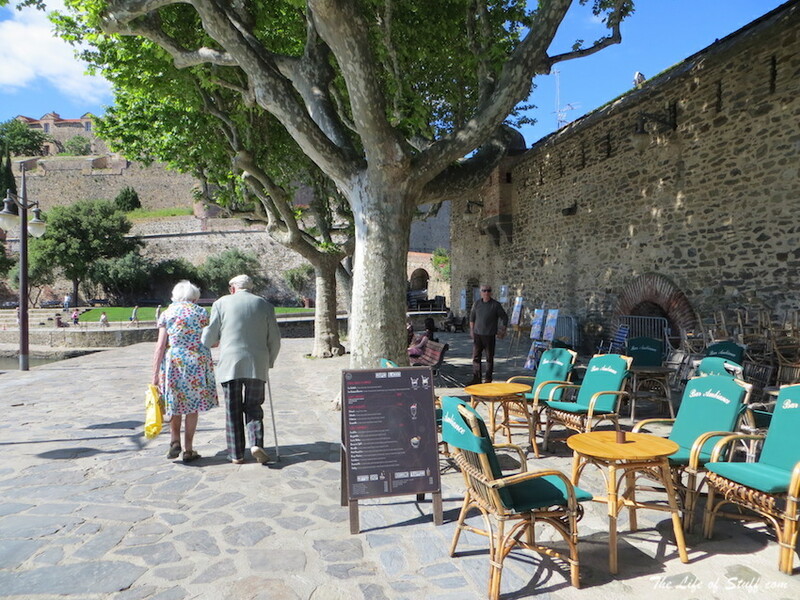 Collioure offers visitors the chance to wine and dine their days and nights away. If they so wish. Meat lovers rejoice, but for those of you like me, a pescatarian – basically a vegetarian who eats fish. 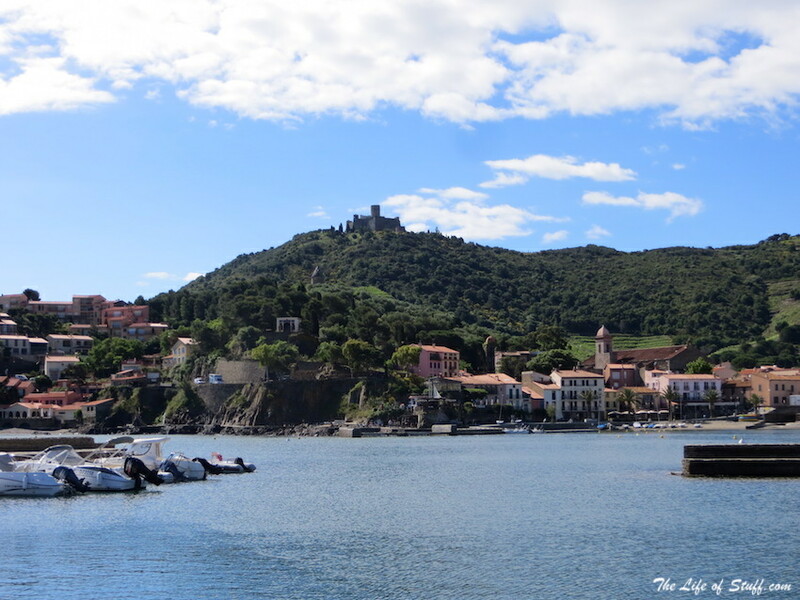 You’ll be happy to know that the fishing town of Collioure delivers. 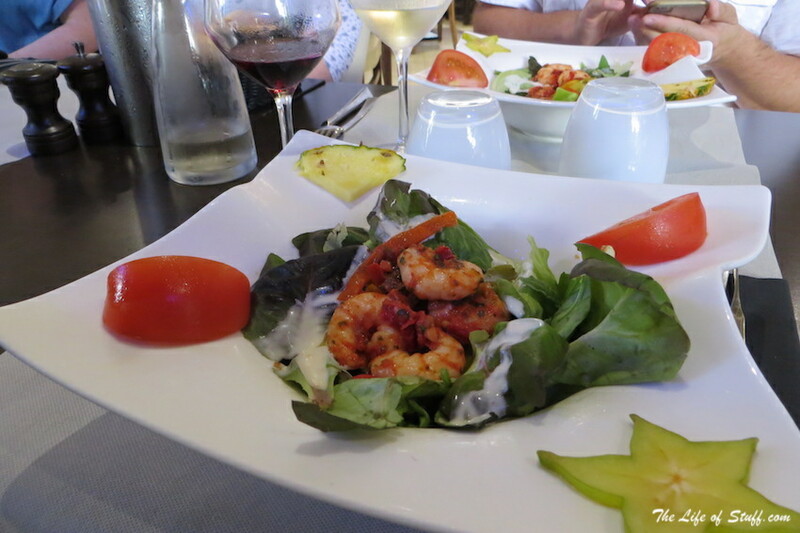 On my most recent trip to Collioure I enjoyed a mediterranean inspired lunch at La Fregate. 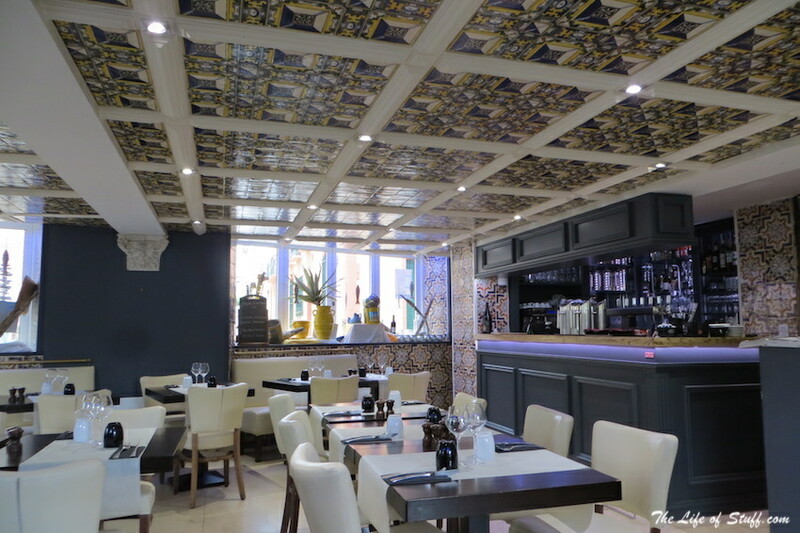 A restaurant with a pretty ceramic tiled ceiling and terrace that opens out to the streets of Collioure. 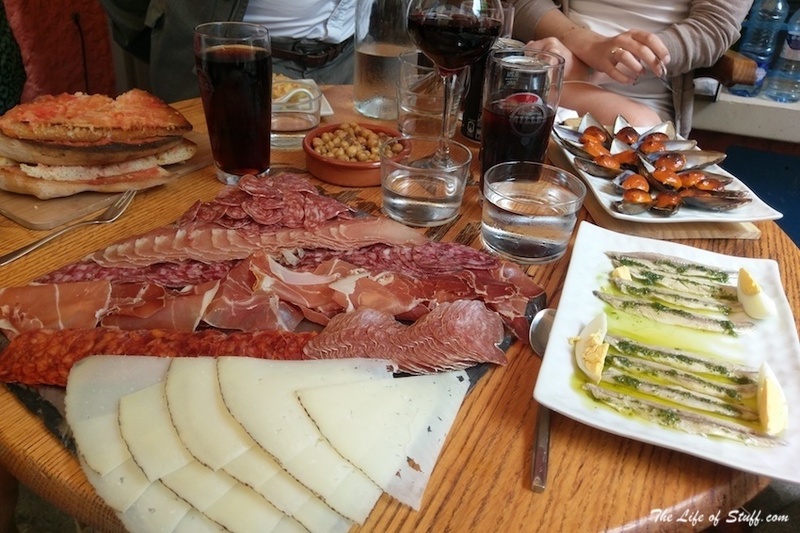 Delicious tapas were devoured at La Treille restaurant. Fresh anchovies, mussels, tomato bread, cheese, tortilla and desserts. Delivered with French and Catalan flair. 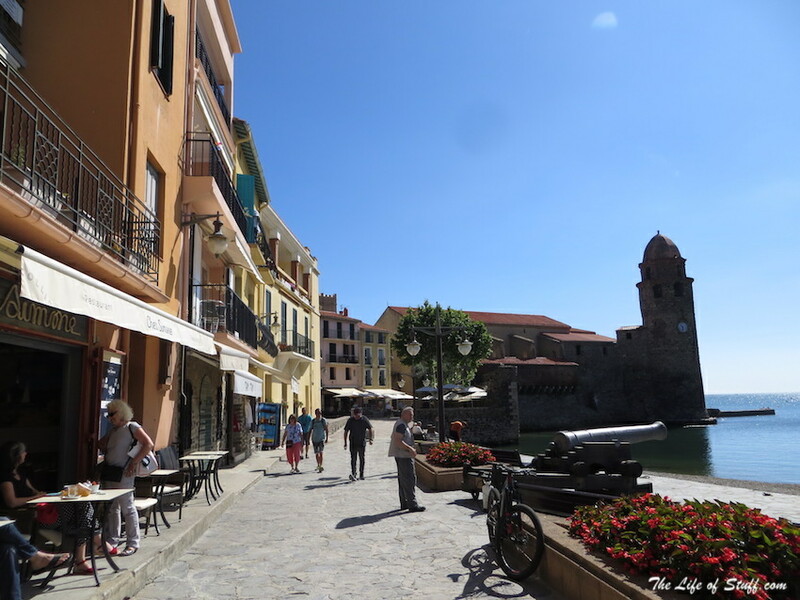 Served by friendly staff and savoured under parasols on one of the quieter, but no less pretty streets in Collioure. Dinner was memorable at the Michelin Star La Balette Restaurant. 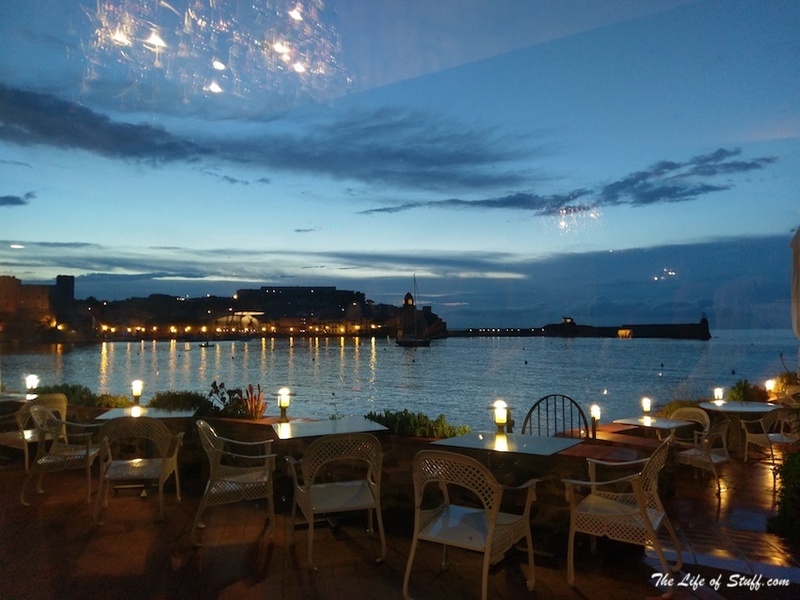 The ambience was magical with views of the twinkling lights in the harbour. The dining room with its modern art and lighting set the scene for the dining experience that lay ahead. Professionally executed by award-winning Chef Frédéric Bacquié along with his brigade and waiting staff. Dish after dish was melt in the mouth from the Saint-Pierre Fillets to the Tuna. 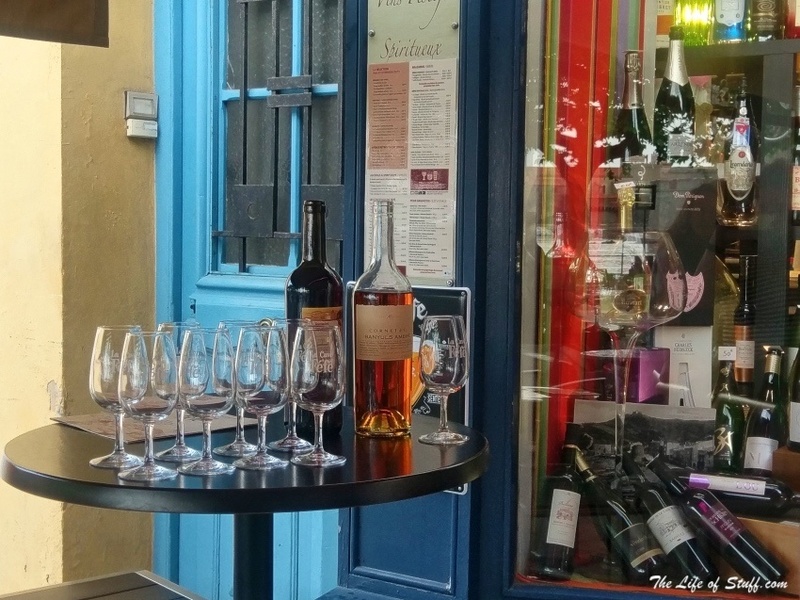 If wine is your thing, then a visit to La Cave FéFé is in order. A wine, spirits and beer store and bar that looks out on to the Castle. Here you can taste and buy a number of wines from the region and enjoy them with tasters of the local olives and tapenade on toasted bread. The wines we tried, tested and enjoyed were a white wine from Clos Saint Sebastian called Empreintes. A red wine from Domaine de la Casa Blanca called IIuminari and a dessert wine from Cornet & Cie called Baynuls Ambré. 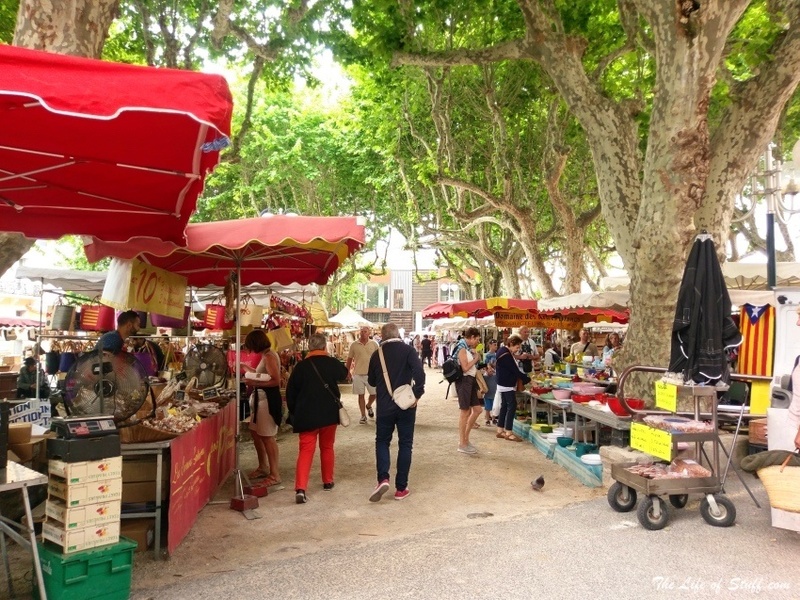 If your stay falls on a Wednesday then you’ll be happy to know that the town has a bustling food market on the same day. Perfect if you’ve decided to rustle up your own French Catalan inspired concoctions. 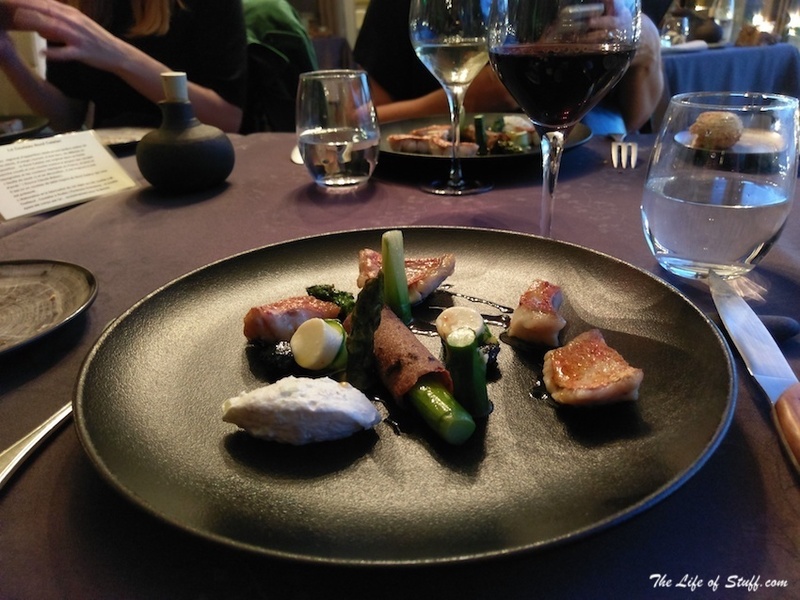 Still chasing art but also in need of a caffeine or stronger pick-me-up, then a place I would have like to have stayed longer in, is the revered Hôtel Restaurant les Templiers. This hotel is now in its third generation of owners from the same family. And the love of art from the first has not wavered. 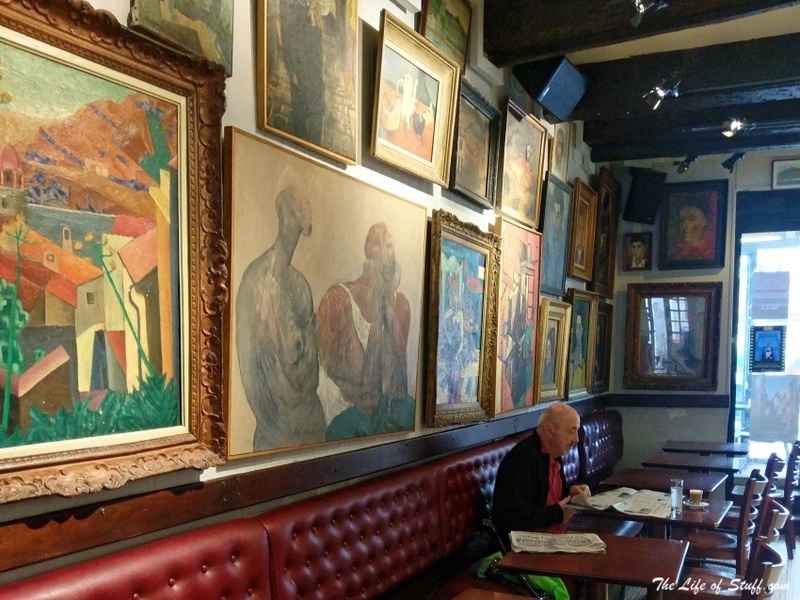 Thousands of paintings and drawings line the walls of the hotel, from the bar, through to the dining room. And even up the stairs. 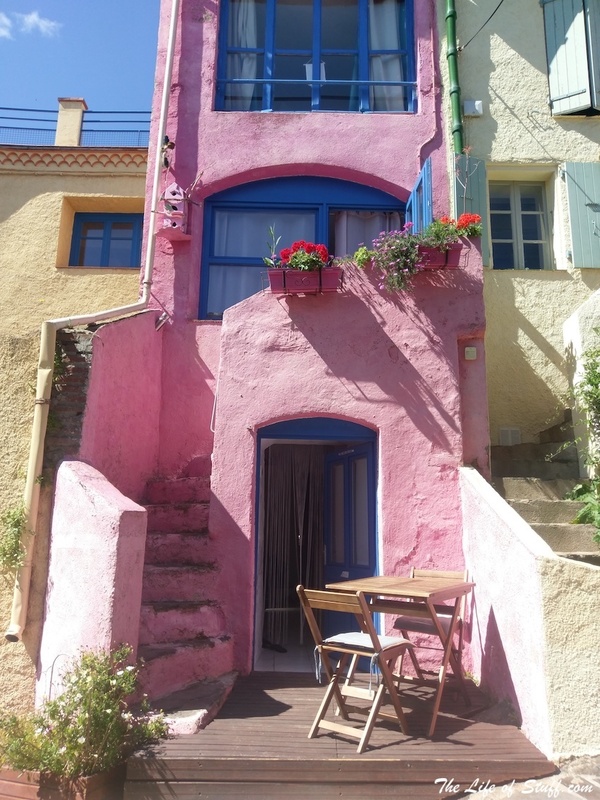 It’s said that the hotel once had two Picasso paintings adorning its walls that were gifted from Picasso himself during one of his stays in Collioure. But they were stolen. The heartache. 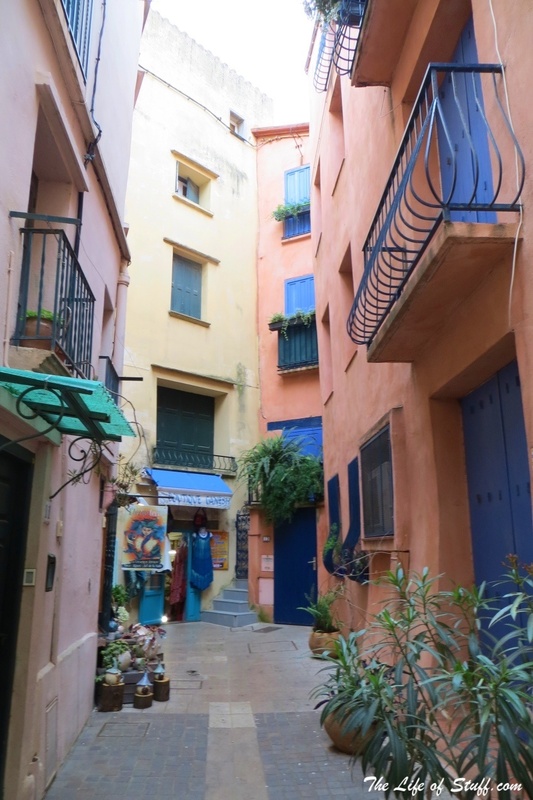 As soon as you arrive in Collioure not only will you be welcomed by the multicoloured buildings that line the streets. 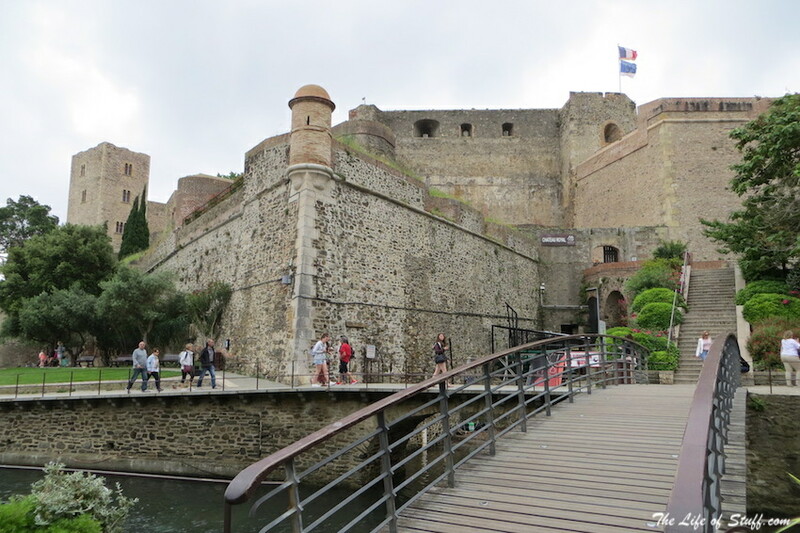 But you will be greeted by the Royal Castle of Collioure. 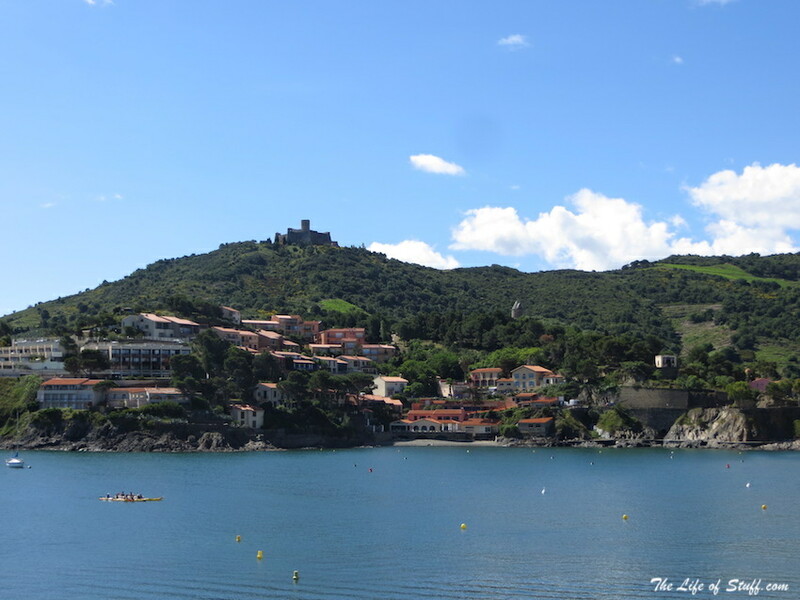 The Château Royal de Collioure which lies on the water is within the town and so sets a beautiful scene when walking along the beachfront. Or indeed the pathway around it. It was built in the middle ages to protect the town and its natural harbour. And like the town itself the castle has seen the many changes of ownership over the years. 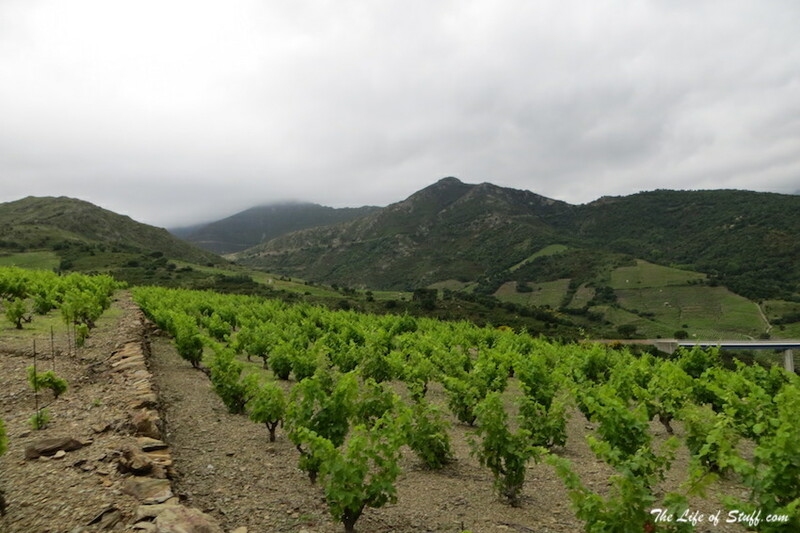 Nowadays it is owned by the Department of Pyrénées-Orientales and is open to the public for tours and exhibitions. Another dominant piece of architecture is the 17th Century Notre Dame des Anges (The Church of Our Lady of the Angels). It stands strong with the water lapping its foundations on three sides. Its bell tower was originally built as the lighthouse before it became the clock tower it is today. Views of the church can not get any better than from the beachfront and Matisse was certain of this too. For even more photo opportunities take a short stroll out along the jetty and you’ll come to the crucifix by the sea. You don’t need to be religious to appreciate this little building. and cross on the rock because the sights it offers. 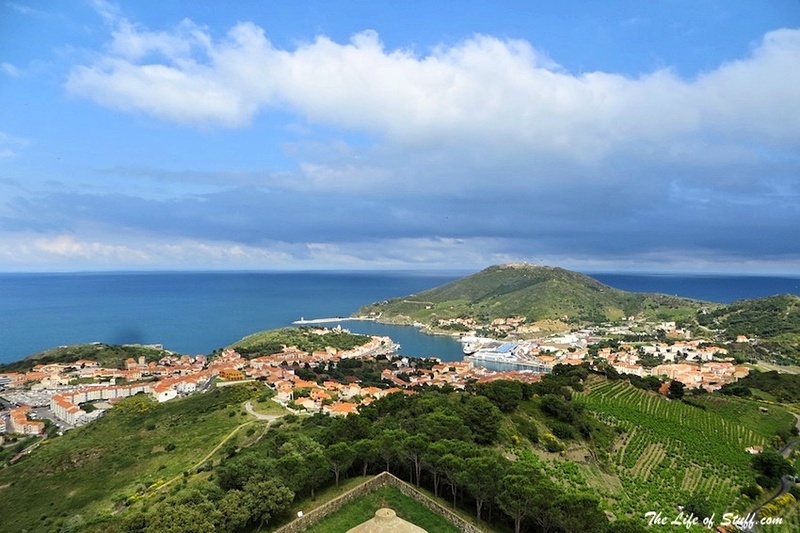 Take a 360 degree view of the sea, the buzzing harbour, the landscape in the distance. 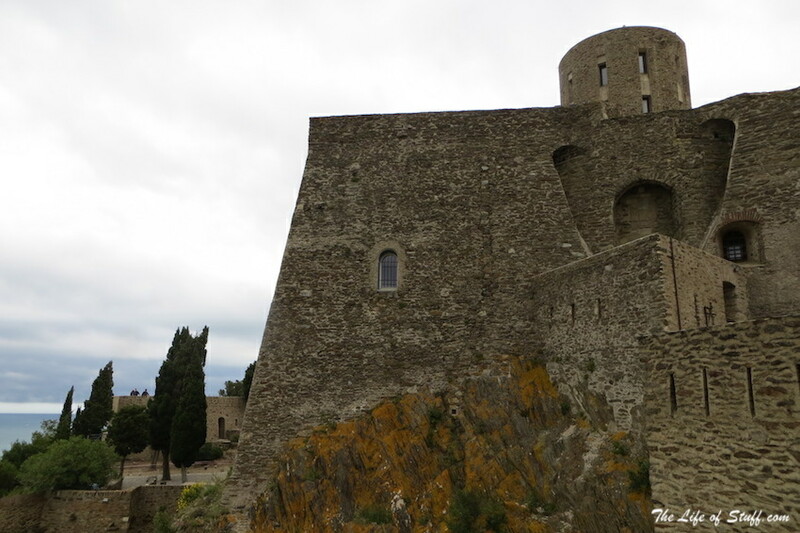 And of course the beautiful town of Collioure with its ancient castle and Notre Dame des Anges. It’s just fantastic. 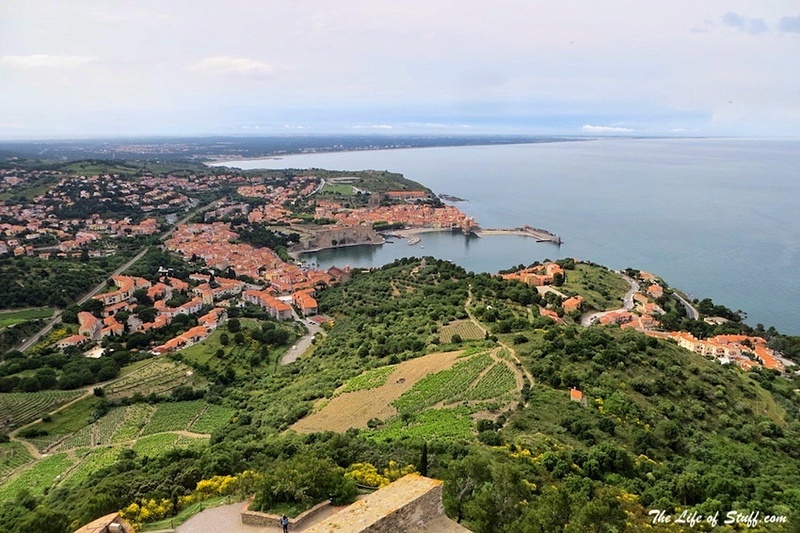 Up on the hilltop looking out over Collioure town and its countryside, and with views of neighbouring Port-Vendres is Fort St. Elme. The fortress has an exceptionally long history that some historians say dates back to the 8th Century, and the times of Arabian occupation. Over the years what was once a tower that aided in the defence against the Normans, was built upon and redesigned. 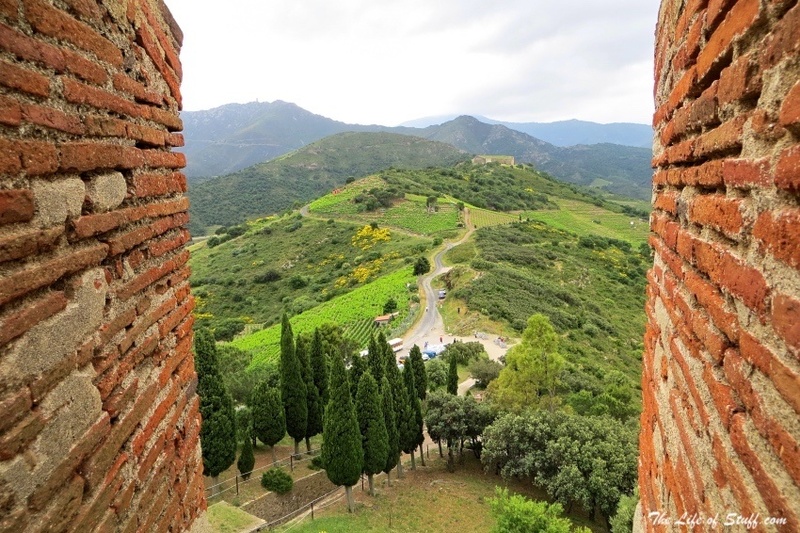 However it wasn’t until 1538 that Charles V decided to add a defence structure to the tower to create the military fortress that is evident today. The history of the fort does not stop there. From the French and the Spanish to German occupation of the fort as an observation post, Fort St. Elme has lived a colourful life. Today Fort St. Elme is privately owned but open to the public. The fort has been repaired and restored to an excellent standard. The tour of the fort which includes its Armoury Museum is interesting. And the 360 views from its rooftop are spectacular. Getting to Fort St. Elme is simple. 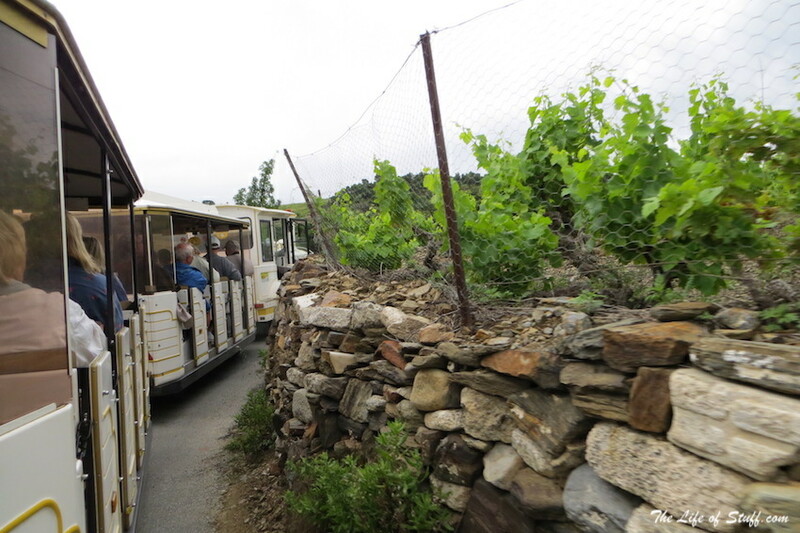 One can walk and hike or even easier take the Little Tourist Train from Collioure Town. We did the later on my most recent visit. And I thoroughly enjoyed the sights of the olive and almond groves and countryside as we magically climbed the steep hilltop. Of course you can get a return train down the hillside but if you can I recommend walking down. It allows for beautiful sight-seeing and as you descend you’ll come across the Moulin de la Cortina (The Mill of the Cortina). And a little further along the Musée d’Art Moderne, Modern Art Museum. After which you can cool down with a refreshing glass of locally produced wine. The Mill of the Cortina was one of the first mills to be built in Catalan country in the 14th century by orders of the King of Majorca. It was to be used to grind grains and crops. And surprisingly enough following a restoration project that was completed in 2001. 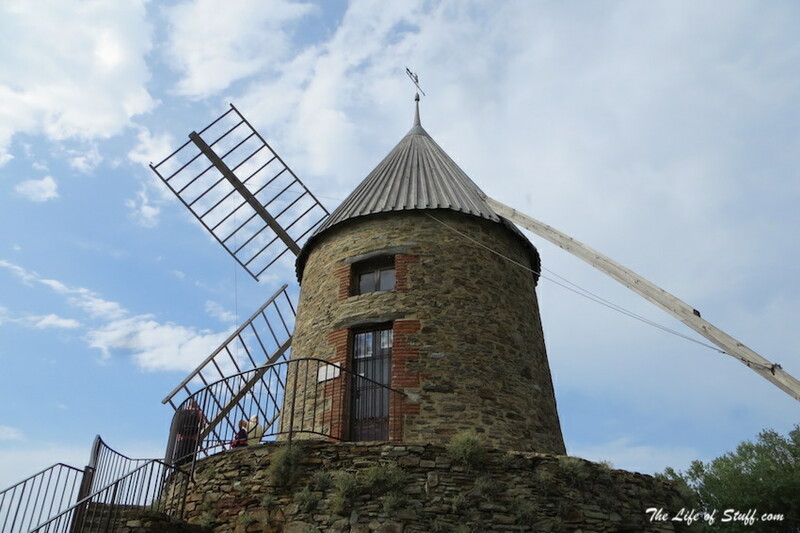 The mill has now returned to its primary purpose and is used to crush olives for locally produced oil. How special. 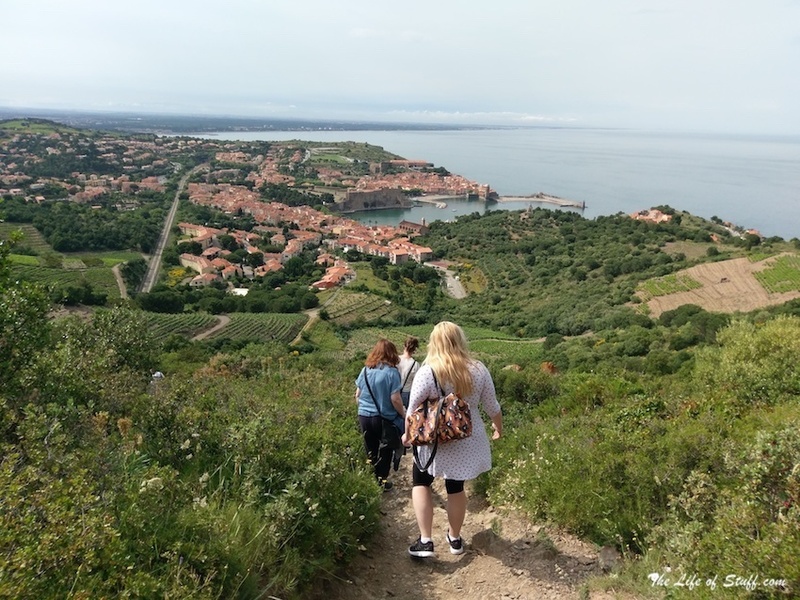 From hiking and climbing the hills and mountains in and around Collioure. Or skiing depending on the time of year. To the activities offered by the town’s mediterranean coastline – if it’s activity you’re after you won’t be left needing. There are a number of walks and hikes to be enjoyed including the one I mentioned earlier from Fort St. Elme. 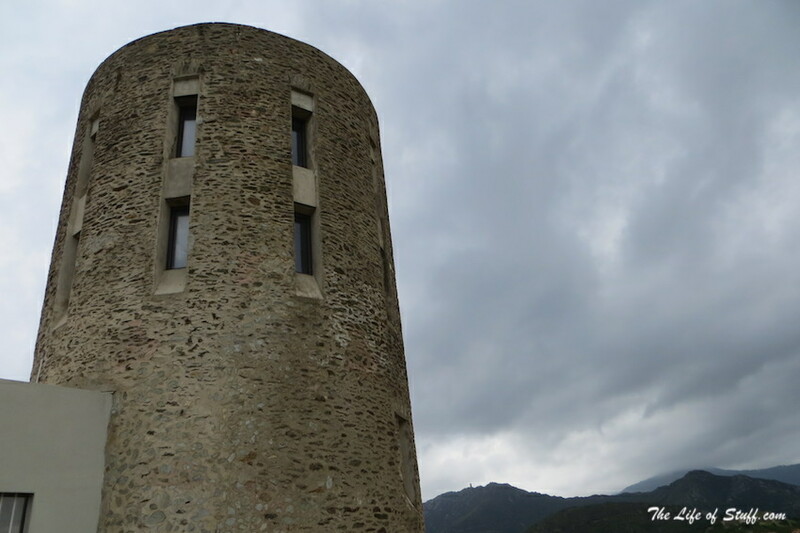 There’s The Coastal Path, The Tower of Massane from Valmy, or a walk to the The Madeloc Tower (another historical architectural highlight). After a morning horse-riding over the hills, there’s the option to sooth your saddle bags by enjoying a laze on the beach. 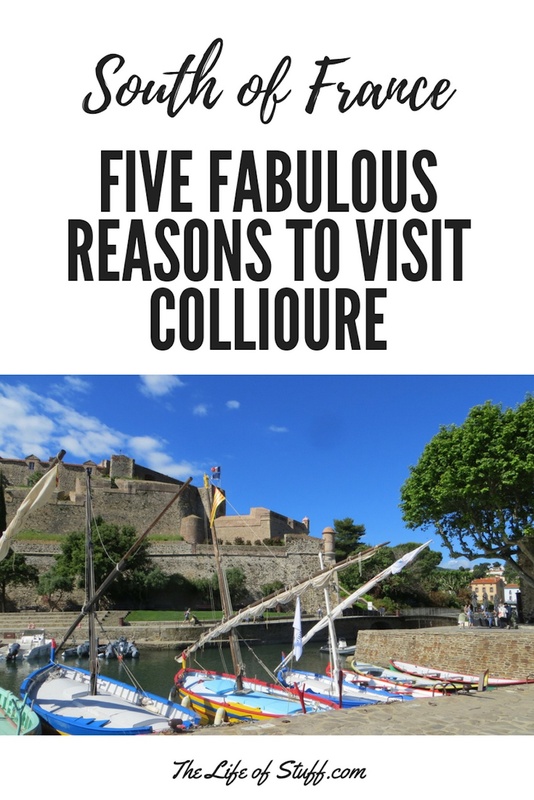 But if that’s too easy-going then you’ll be happy to know that the waters of Collioure can become your adventure. From boat rides to cruises, one can also go diving and snorkeling. 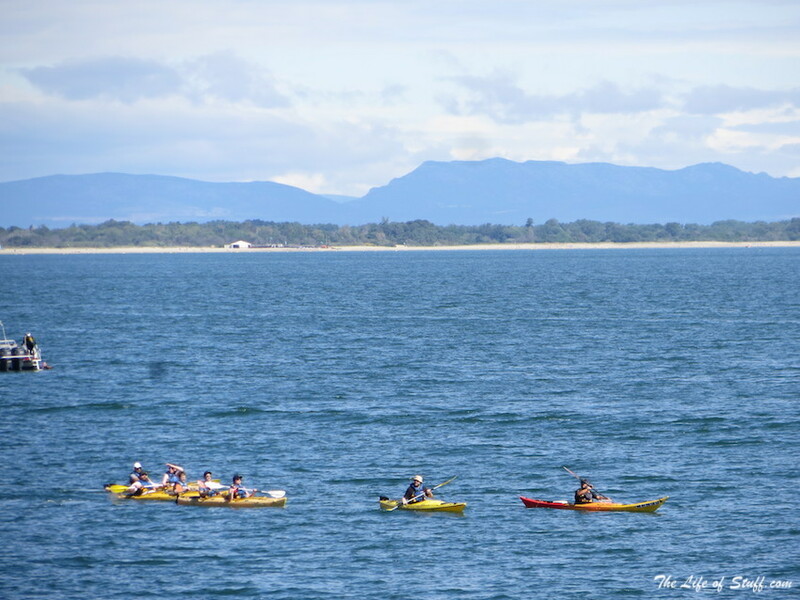 Or for above the water activities – water skiing, jet skiing, sea kayaking, stand-up paddling and windsurfing. There’s even a sailing school for those who want to take their nautical experience up a notch. We flew with Aer Lingus to Perpignan Airport which is only 30 minutes away. 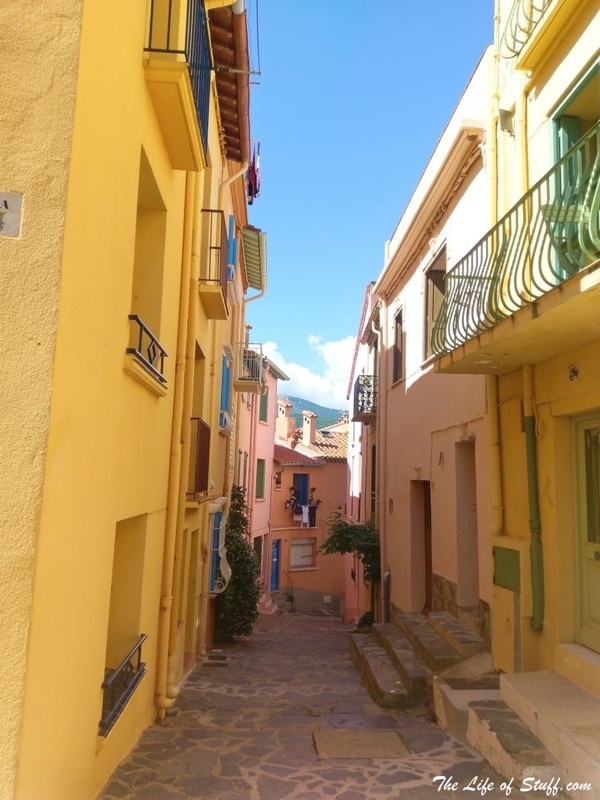 There are a number of ways to get to Collioure from Perpignan – taxi, train or bus. Or indeed a combination of all three. The train only takes approximately 20 minutes, the bus is only €1. 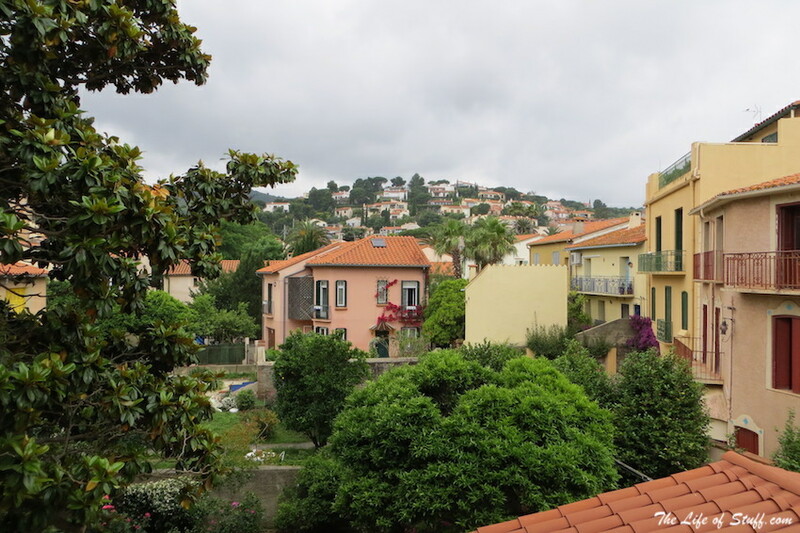 We stayed in a very special Relais du Silence boutique hotel called Hôtel Casa Païral. Originally the home of a Catalan family in the 19th Century. The hotel is full of charm with photo opportunities around every corner. Even the view from my room was fantastic. 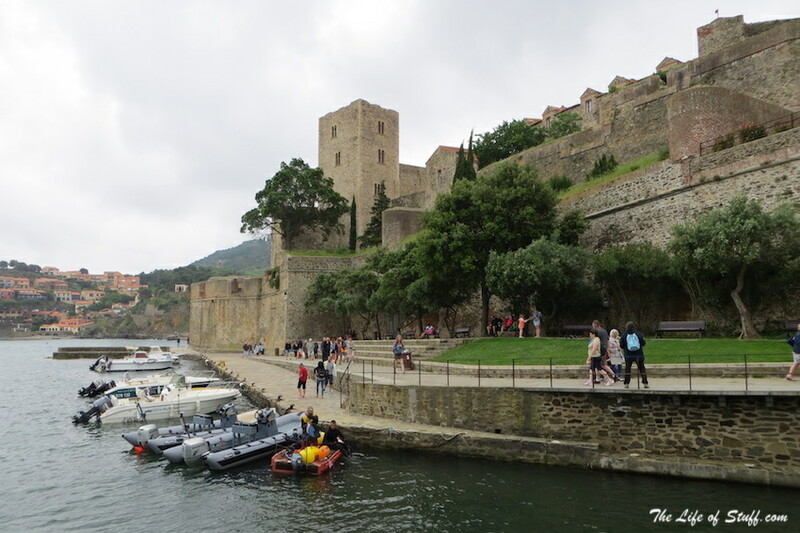 My recent visit to Collioure was made with the Collioure Tourism Office as part of a media trip. My sincerest thanks to them for introducing me to such a beautiful part of the world. I fell in love with the town and am eager to get back with my family in tow. 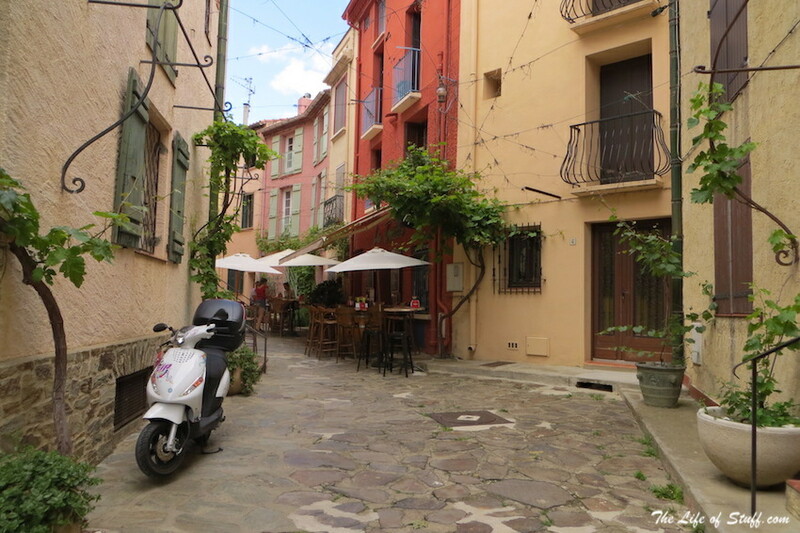 So watch this space for a possible ‘Travelling with Toddlers to Collioure’ post!